Would you like to learn the craft of mosaic with Gary Drostle. 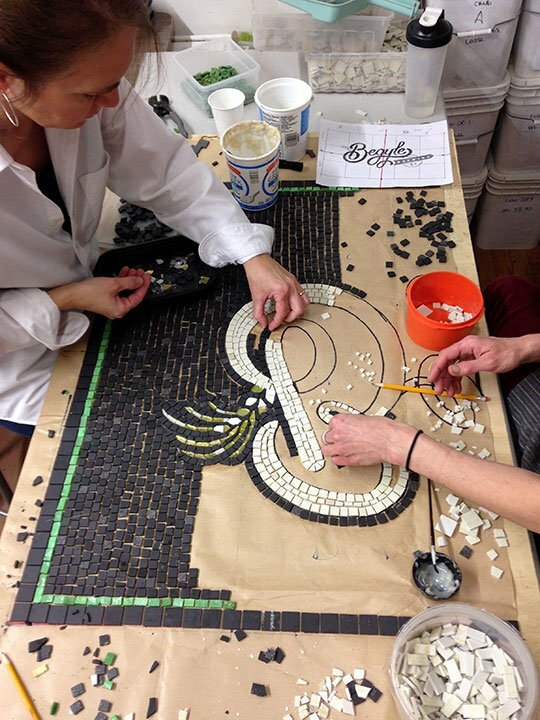 With so much work in the studio to do it is difficult to find time to teach mosaic making. But you can be sure that every year Gary will teach his ‘Large scale mosaic making’ course at the Chicago Mosaic School. Other places Gary often lectures include the annual conferences of SAMA (Society of American Mosaic Artists) and BAMM (British Association for Modern Mosaic). 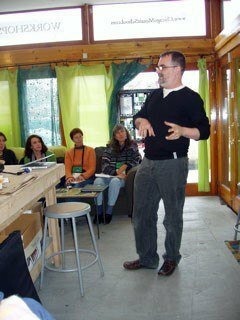 Learn the craft of mosaic with Gary Drostle: Gary has been a visiting lecturer at the Chicago Mosaic School for over ten years and is a committed supporter of the school and it’s philosophy. This 5 day workshop will address considerations, organization and logistics that go into producing large scale and public works. Students will learn the indirect technique of using paper as a temporary support for creating large scale mosaics. The technique enables the creation of larger works off-site and in smaller sections and is particularly useful for creating floor mosaics and working with community groups. The technique is also widely used for creating wall and ceiling mosaics. The course will also cover: design considerations; creating a full scale cartoon; selection of suitable materials; project planning; making glue; determining Andamento; progressing the works; sectioning the mosaic; organisation and logistics; paper faced mosaics in transit; site set up; site lay out; equipment; health and safety; professional installation; fixing; paper removal; grouting; troubleshooting; snagging…. and much more. As much of the course as possible will be taught using hands-on practical work with each student creating their own mosaic panel.